Golf Digest features the Sunfish "Fly the W" Headcover for the Chicago Cubs. Check out the full article on Golf Digest here! 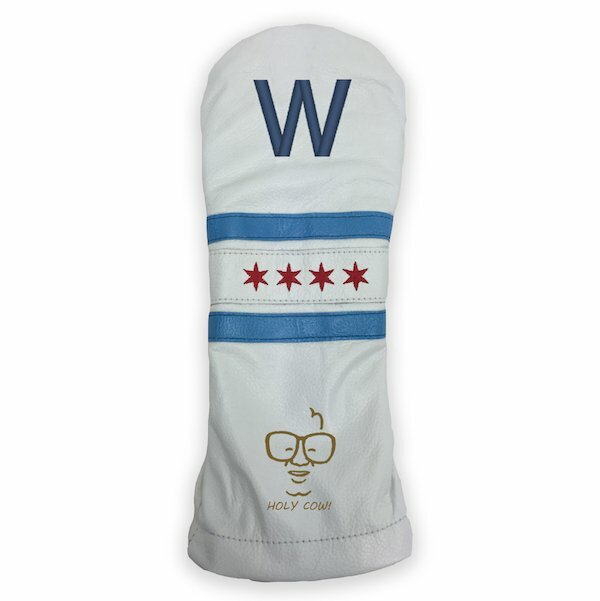 Purchase the Fly the W headcover here! What do you do when your favorite team wins a championship? Buy some new gear, of course. But what do you do when your favorite team wins a championship for the first time in 108 years? Buy LOTS of gear. The “W.” The Chicago flag. The Harry Caray caricature. That’s a sharp-looking headcover right there. Sunfish says to allow three-to-four weeks for delivery, but we know Cubs fans will be patient. After all, they’ve been waiting for more than a century to celebrate. This entry was posted in News and tagged Chicago Cubs, Cubs, Fly the W, World Series.